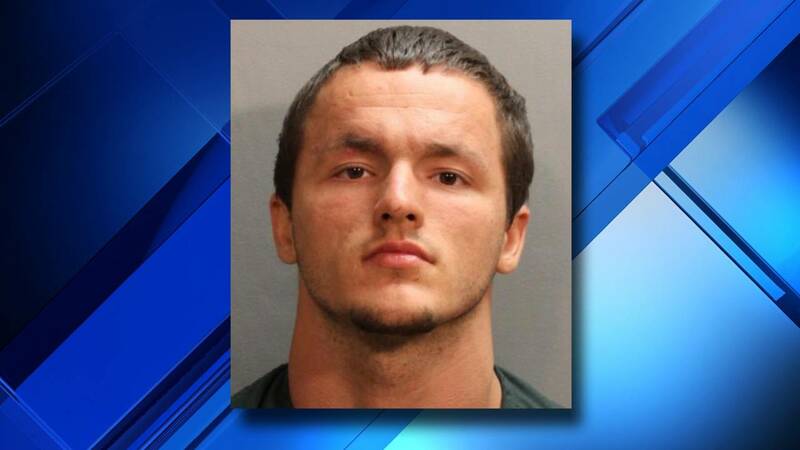 JACKSONVILLE, Fla. - An inmate who escaped from the Dinsmore Community Correctional Center over the weekend was arrested Monday after he was spotted on the Florida State College at Jacksonville South Campus and arrested nearby, according to the Jacksonville Sheriff's Office. Investigators said Micky Turner, 22, escaped from the work release center on Old Kings Road after he cut his ankle monitor around 2:50 a.m. Saturday. Turner was serving time for burglary. On Monday, a witness saw Turner on the campus and contacted police, the Sheriff's Office said. According to police, when officers arrived at the college, Turner ran from the area. A perimeter was established, and the escaped inmate was located and "engaged" by K-9 Valor. Turner was booked back into jail at 9:17 p.m. Monday facing a new charge of escape. He appeared before a judge Tuesday morning and was ordered held on $100,000 and another court appearance was set for April 17. K-9 Valor’s 1st day working was yesterday after so many months of training. First call ever, was an escaped inmate that we had been searching for. Escapee fled from police and K-9 Valor and Officer Langston located the suspect and K-9 Valor engaged.